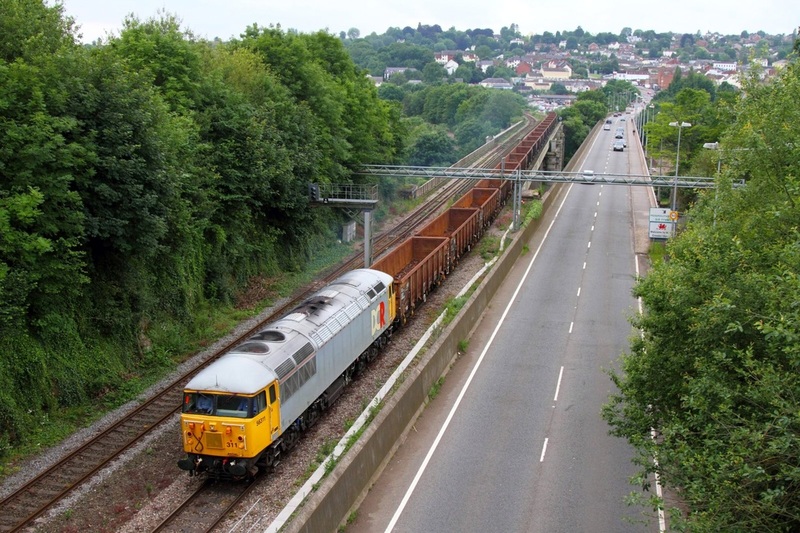 DCR 56311 sounding amazing hauls the 6Z34 Cardiff Tidal to Stockton empty scrap through Chepstow on the 9th July 2012. 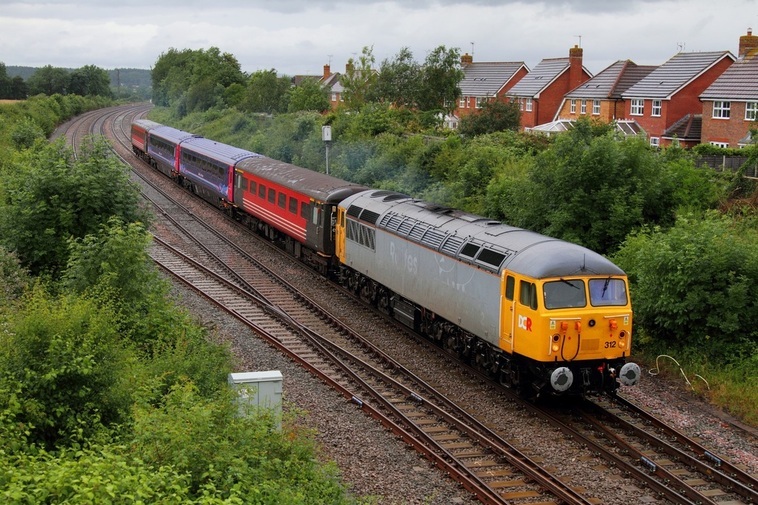 DCR 56312 now without its Railfest Advertising branding leads the 5Z56 10:00 Carlisle Wapping Sidings to Laira T&RSMD consisting of Virgin barrier MK2 vehicles 3344 and 5952 and newly refurbished and converted from buffet cars, 42503 and 42502 sandwiched between, at Charfield on the 10th July 2012. The train had originated from Kilmarnock Barclay the evening before where the buffet cars have been transformed into passenger coaches.